SAN FRANCISCO (KGO) -- Drivers in downtown San Francisco are about to see more red. Powell Street will be closed to through traffic between Ellis and Geary streets for the next 18 months. 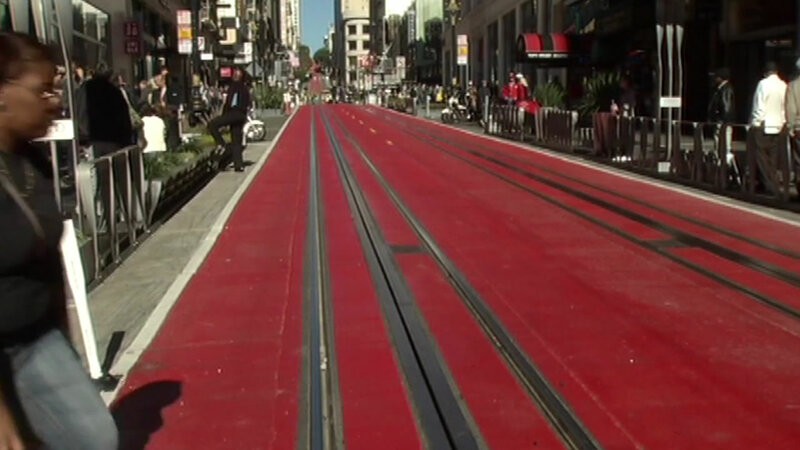 A two-block stretch around Union Square has been painted red, limiting car access. New signs tell you where turns are not allowed and where you cannot drive through. Muni, taxis and commercial vehicles are still allowed, but just for loading and unloading. The trial program is to promote safety in one of the city's busiest areas. "Our goal in this is to promote more pedestrian safety and create a safer environment for the operation of the cable cars. To that end, we're the enforcement wing and we will be conducting enforcement at some point," SFPD Capt. Tim Obrezeir said. Police say drivers caught going where they aren't supposed to will get a warning over the next 21 days.